On-Site Field Service Capabilities: We provide 24 hour on-call field services, including Holidays. A qualified SES technician will come to your facility to trouble-shoot problems, whether they are in your start-up, existing system, or in an individual unit. If your industrial electronic automated equipment is down our technicians and engineers will trouble shoot your system and figure out what is wrong and get you back up and running as fast as possible. We will also help you develop and maintain a preventive maintenance program, and show you where and how you can upgrade existing equipment. We can converter your existing DC Drive and DC motor system to an AC Vector Drive and AC motor, The AC Vector Drive and Inverter Duty AC motor are much more reliable and readily available for your factories automation needs. Call us for your retrofit needs. We are an official service center for many manufacturers including ABB, Square D, Yaskawa, Baldor, and Emerson and can work on their equipment even under warranty. Authorized Service and Warranty Center: Specialized Electronic Services is an Authorized Service and Warranty Center for many major manufacturers. See all the manufactures we service here. Competitive Rates: Specialized Electronic Services rates are more than competitive, in fact they are usually below industry standards. In addition, the repair costs are usually less than half the cost of replacement. In some cases, the cost of repair exceeds the reasonable cost of replacing the equipment. In these cases we’ll let you know and give you the option of repair or replacement. If you need help with specifying a replacement, or a Full System Retrofit, our Engineering staff will help. You can call us to find out what our costs would be to come to your facility to do repairs on site. Many customers have said our pricing on AC and DC drive repairs are some of the best they have seen. Load Tested Repairs: At Specialized Electronics we can put a load on your VFD drive or DC drive after we repair it, up to 100HP. We have motors that we tie together to buck each other when we test your VFD or DC drive when the repair department is done with the repair. If a drive comes in for repair be it an VFD drive, DC drive, Servo drive, or Spindle drive and it is uneconomical to repair or if it can’t be repaired due to obsolete parts, we can usually get you a quote for a new drive that will work in its place. Our sales department will work with you on getting you the proper drive to retrofit into your system if your old drive is obsolete. If your drive is still currently available we will quote you with the same drive. Call us today if you have a need to purchase or repair your Variable Frequency Drive even if not listed above as we have many more items in stock and repair many items that we carry and do not carry as well. 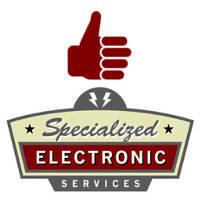 At Specialized Electronics we can train you to troubleshoot and fix your Variable Frequency Drive.